Properties in Lake Rotoiti average 4.5 out of 5 stars. Property 4: The Love Shack luxury Lake Edge Escape. Property 7: Secluded private beach/ jetty. 30 acres. Pet friendly. Private detached room. Lake edge property. Property 14: Private detached room. Lake edge property. Property 16: Life On The Lake Where will you be? 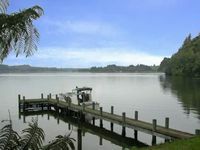 Property 40: Waterfront Exec Retreat Rotoiti with heated pool, spa and sauna. Pet friendly. Large holiday villa with amazing lake views nested in wild bird paradise. 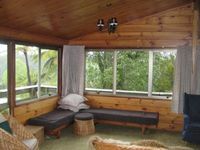 Property 49: Large holiday villa with amazing lake views nested in wild bird paradise.